Residents of the Pinehurst, North Carolina area may struggle with high Cholesterol. 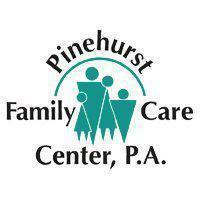 The medical caregivers at Pinehurst Family Care Center, P.A. can help patients keep Cholesterol levels under guideline-directed targets with medication, diet, and lifestyle changes. Cholesterol is a waxy substance produced by the liver. It is found in all human cell membranes, from the brain cells to the heart cells to the nerve cells and beyond. Cholesterol also occurs within some foods. While the body does require cholesterol to function at its peak, too much cholesterol can have very serious health consequences. How Can High Cholesterol be Damaging to the Body? When the body has excess cholesterol, there is a higher risk of cardiovascular disease like heart disease. Excess cholesterol accumulates on the artery walls. When the arteries responsible for relaying blood to the heart are clogged with cholesterol, it becomes very difficult for the heart to get the blood and oxygen that it needs to function properly. This can result in chest pain or even a heart attack. Excess cholesterol may also raise the risk of stroke and peripheral vascular disease. How Are "Good" and "Bad" Cholesterol Different? High-Density Lipoprotein (HDL) cholesterol is commonly called "good" cholesterol. HDL cholesterol is considered to be good because it actually helps remove the "bad" cholesterol, the Low-Density Lipoprotein (LDL) from the bloodstream. When the HDL removes the LDL from the blood, it prevents it from ever accumulating on the artery walls. During cholesterol testing, different numbers will be generated: The total cholesterol number, the HDL cholesterol number, the LDL cholesterol number, and triglycerides. There are several approaches to treating high cholesterol. Lifestyle changes can make a big difference. The doctor can help patients implement a healthy diet. Eliminating trans fats, adding omega-3 fatty acids, increasing soluble fiber, and adding things like whey protein can help lower cholesterol naturally. There are also prescription medications that can lower cholesterol. When medication and dietary changes are combined, even very high cholesterol numbers can be lowered.